The right to data portability allows individuals to obtain and reuse their personal data for their own purposes across different services. It allows them to move, copy or transfer personal data easily from one IT environment to another in a safe and secure way, without hindrance to usability (Article 20). Note: the 4913 is just an example, please don’t use this, unless this really matches to the user id you’re exporting! 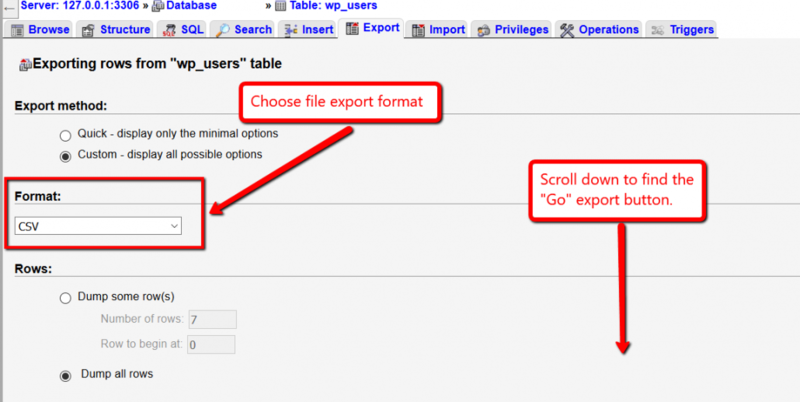 Select the export file format and export user data to your local computer. Replace X with the User ID you found in Step 1.1 . Check the exported result and make sure you don’t provide confidential information, which is not related to the user. You should always check the exported content before providing it to user. Important: We can’t guarantee that this SQL command only exports user specific data. The wp_usermeta table is used by many plugins and other plugins may store non-user specific and confidential data.